This book is a trainable, attainable skill book. Do you toss and turn at night with a knot in your stomach, worrying about your job, your family, work, your health, or relationships? Do you suffer from crippling shyness, obsessive doubts, or feelings of insecurity? Are you plagued by fears, phobias, or panic attacks? All-or-Nothing Thinking: "My mind will go blank when I give my presentation at work, and everyone will think I'm an idiot." Fortune Telling: "I just know I'll freeze up and blow it when I take my test." Mind Reading: "Everyone at this party can see how nervous I am." Magnification: "Flying is so dangerous. I think this plane is going to crash!" Should Statements: "I shouldn't be so anxious and insecure. Other people don't feel this way." Emotional Reasoning: "I feel like I'm on the verge of cracking up!" Self-Blame: "What's wrong with me? I'm such a loser!" Mental Filter: "Why can't I get anything done? My life seems like one long procrastination." Now imagine what it would be like to live a life that's free of worries and self-doubt; to go to sleep at night feeling peaceful and relaxed; to overcome your shyness and have fun with other people; to give dynamic presentations without worrying yourself sick ahead of time; to enjoy greater creativity, productivity and self-confidence. Does that sound impossible? The truth is you can defeat your fears. 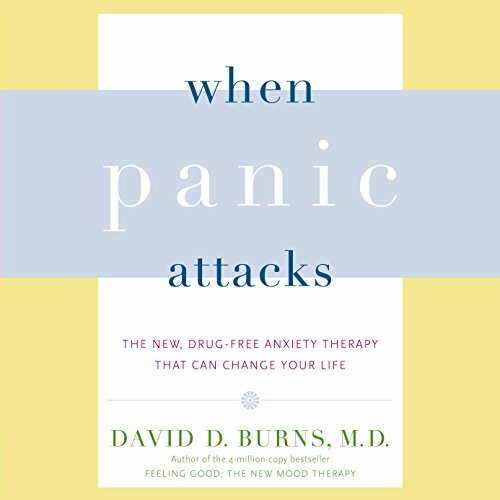 In When Panic Attacks, Dr. Burns takes you by the hand and shows you how to overcome every conceivable kind of anxiety. In fact you will learn how to use more than 40 simple, effective techniques, and the moment you put the lie to the distorted thoughts that plague you, your fears will immediately disappear. Dr. Burns also shares the latest research on the drugs commonly prescribed for anxiety and depression and explains why they may sometimes do more harm than good. For me, it's more helpful than the original, Feeling Good, which was itself incredibly helpful already. If you could sum up When Panic Attacks in three words, what would they be? The problem solving tools and understanding behind this book is well researched. Tackled anxiety from many angles including information. Useful tools, actions and ideas for in the moment. The PDF makes it easy to review many of the ideas quickly. I'm a graduate student of Counseling psychology who struggles with anxiety. After many therapy sessions, many classes in my program and self-help, I found the best resource for my anxiety. I'm very skeptical about everything and like to read about the current research and evidence based practices. 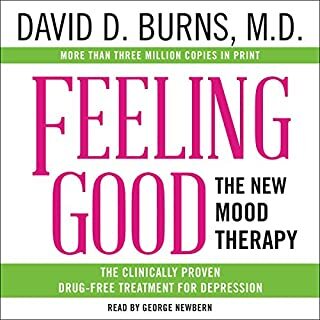 Since CBT is one of the few evidence based therapies, I figured that this audiobook may help, if not, I learned about CBT for my practice. After countless books and audiobooks, I found Dr. Burn's audiobook to be the BEST. The research, the techniques and theory is all here. Everything is in order and the pdf has all the exercises you will need. Also this book gives you HOPE. The holly grail of psychology. Every psychotherapist tries to give the client hope but people with years of problems (anxiety, depression, interpersonal problems etc...) wont easily feel optimistic about their future. 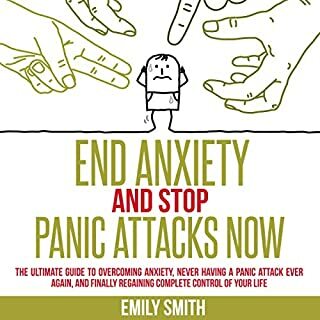 If you are struggling with any kind of anxiety, this is the book for you. It's a no nonsense approach but guided by a very inspiring Dr. Burns. If you study psychology, counseling, social work or any other mental health profession, listen to this book because there are case studies and the theory is explained clearly. Also it has a much needed warning about medication. P.S. 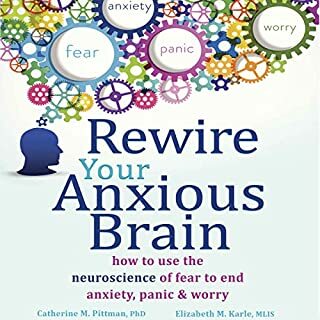 I've read and listened to many other self-help books for anxiety on paperback and audible.Skip them. Don’t want this review to sound cliche, but the tools learned in this book are definitely useful and helped me understand how my negative thoughts create a lot or all of my negative feelings. It also helped me understand that nice people are plagued with anxiety as a result of not expressing what bothers them. This leads to your body alerting you that something is wrong with something that you’re not dealing with or avoiding and it’s coming out as your anxiety. 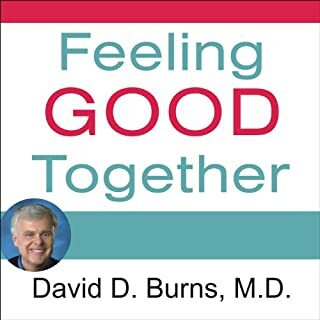 I’ve found Dr David Burns to be so helpful and I’ve found his podcast on my iPhone and will be listening to those as I’ve already completed his original “Feeling Good” book before reading this one. This book saves you from your present. This book prevents your past from harming you. This book creates the future you were born to live. Excellent book. POWERFUL TECHNIQUES. LIFE CHANGING. If you suffer with anxiety, this is a MASTERWORK. This gentleman spells it out. Well-researched and I have read A LOT of these kinds of books. This has been so helpful. So many different ways to REALLY AND ACTUALLY change. Lots of examples. I rarely write reviews but I felt compelled to write one for this book. Use the tools in When Panic Attacks like using chemotherapy to kill cancer. 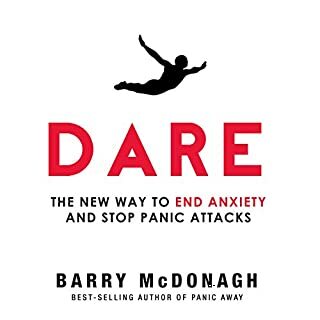 Hit your anxiety with dose after dose after dose of the anti-anxiety tools in this book until your anxiety disorder is gone. I love this book. I’ve listened to so many books about my panic disorder and this one has to be the best I’ve ever heard. 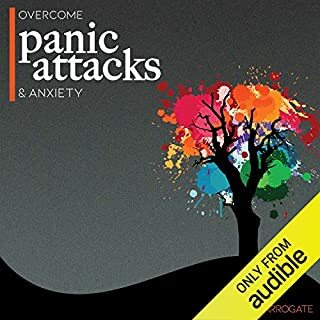 I’ve suffered from panic attacks for 20+ years and I really feel you get the tools in this book to recover. Highly recommend this book. All I can say is this book is AMAZING help !!! Wow Dr. Burns is an incredible doctor he makes so much sense , this has been extremely helpful , he gives tools and ways to end the cycle of panic and other distorted thoughts !!! I can’t thank him enough I will read it over and over !!!! !